Considering serving alcohol at your wedding? 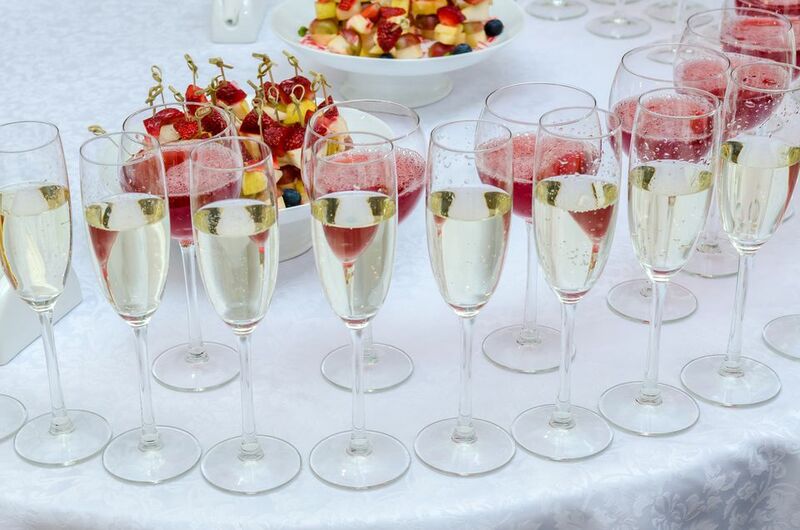 Here are seven tips on how to budget for the perfect party and choose just the right kind of beverages for your big day. Is Booze in Your Budget? If you decide to offer your guests a full bar, think about what you want to serve. A considerable amount of money can be saved by offering beer and wine only. This limitation can also make it easier if you are purchasing your own bottles and cases. If you do decide to serve cocktails, you can include a signature cocktail or two, or go with a full open bar (the costliest choice). A cash bar can eliminate the cost of alcohol from your wedding budget altogether and provides your guest with their choice of beverage. Don’t forget to consider the cost of servers and licenses when making this choice. 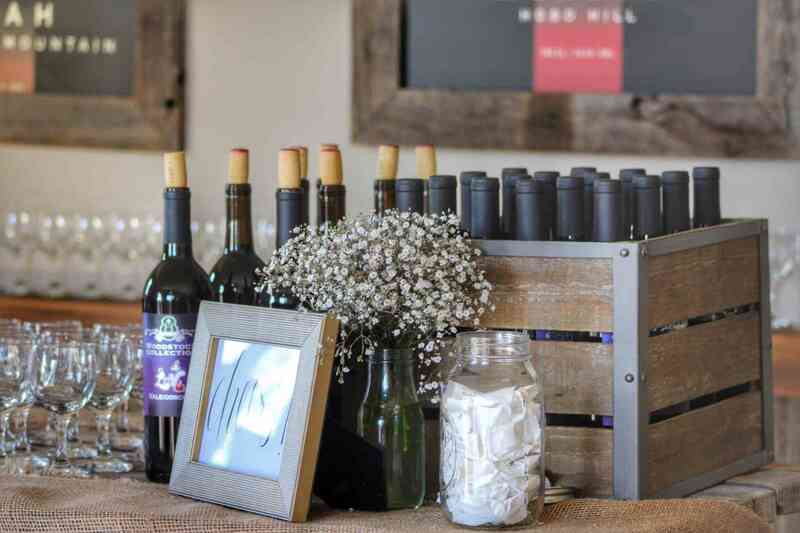 Ideally, your venue will have a cash bar option and can provide you with a cost breakdown for table wines, bar drinks, and a champagne toast. You can compromise between offering your guests unlimited free drinks and making them pay for every cocktail by offering to pay for a limited number of drinks per person. This option may be a bit trickier to arrange and require some creative thinking (i.e. each person gets two drink tickets, or drinks are served at the table only), but can keep your costs under control. You may also opt to pay for drinks up to a certain time in the night. While this choice is harder to budget for, it means your guests are less likely to get too drunk on your dime at the end of the night. Another option is to set the open bar budget in advance. Once that budget has been reached, the bar turns from an open bar to a cash bar. Make sure you contact your venue before making any decisions about serving alcohol at your wedding. It’s likely they have a set price list for service and cocktail, beer and wine menus. You might have dreams of fancy cocktails and champagne on every table, but it is ultimately up to the venue how much that will cost and what the service options are. If you’re hosting your own backyard wedding or have chosen a non-traditional location for your reception, make sure you understand the liquor licensing and service laws in your state. Some states do not allow liquor sales on certain days of the week, so do a little homework before ordering your alcohol. Each state also has regulations on who can serve alcohol and where it can be served. You will likely have to purchase a liquor license and your servers may need to have alcohol service training or certification to legally pour out the drinks at your reception. Contact your local liquor licensing body for more information. You’ve decided you want to serve wine, beer, and cocktails at your wedding reception, but what about crazy uncle John who always drinks too much and says embarrassing things? Or your work friend Colleen who got too drunk at the office party last year and fell over the table? While there’s no way to prevent guests from taking things too far at your wedding reception, there are some things you can do in advance to avoid the embarrassment of a drunk, unruly guest. Perhaps it’s best not to invite Colleen if you know she might ruin the party. You can get your wedding party, trusted friends or even your wedding coordinator involved. Give them a head’s up that you need them to keep an eye on uncle John and make sure he doesn’t stumble up to the microphone at speech time. Remember, you’ll be busy enjoying your perfect day, so enlist others to make sure no one drives away intoxicated at the end of the night. You set your budget, chose the type of bar you want, researched liquor laws and hired your server. It’s time to pick some drinks. Pick your own favorites first; after all, this is your party! You probably know what most of your friends and family like to drink, and there’s no harm in asking if you’re struggling to decide. For signature cocktails, choose something that is in season and goes with your theme. If you are getting married in the summer, choose refreshing fruit drinks, served over crushed ice. If you are getting married in the fall, consider richer drinks, like spiced cocktails or sangria. Always make sure to have non-alcoholic versions available so everyone can join in the fun. What Type of Wedding Reception is Right For You?